Sonoma County families with young children who have suffered economic impact due to the fires. Child care providers who incurred additional expense and/or economic loss due to the fires. Families receiving subsidized child care with 4Cs who suffered economic loss due to the fires such as: lost home, lost job/income, smoke damage, evacuation costs. Families receiving subsidized child care with agencies other than 4Cs who suffered loss due to the fires. Families with young children who suffered economic loss due to disruption or loss of child care as a result of the fires. Single parent families who lost home or job due to the fires. Families with young children who suffered economic loss due to the fires. Unexpected expenses related to the fires. Please Note: All applicants must provide documentation of loss/cost, such as copies of receipts, bills. Family: Tiffani Montgomery, tmontgomery@sonoma4cs.org, (707) 522-1413 ext 144. Licensed Child Care Provider or Child Care Center: Lara Magnusdottir, lmagnusdottir@sonoma4cs.org, (707) 522-1413 ext 186. Santa Rosa, CA – October 27, 2017 – The Community Child Care Council of Sonoma County (4Cs), as the County Child Care Resource & Referral agency, has been collecting data on how the wildfires have impacted our early care and education/child care community, addressing immediate child care needs and developing support for rebuilding efforts. We have confirmed that 15 licensed child care facilities burned to the ground (2 after school programs, 2 preschools, and 11 licensed family child care homes) displacing 444 children in Sonoma County. All of the family child care homes not only lost their home in the fires, but also their place of business. These programs are dealing with all the same issues other businesses are dealing with in the wake of this disaster -insurance, clean up, what was lost, mental health, but the need to reopen quickly to support the working parents who rely on their services is first and foremost in their minds. “We are working with and for the impacted providers” says 4Cs Executive Director, Melanie Dodson. “We already had a shortage of child care in our community, especially in the infant/toddler age range, it is imperative that we help these providers rebuild and reestablish their child care businesses. Some of the immediate needs for these providers will be funds to support them to get temporary locations up and running, purchasing/acquiring new equipment (cots, sheets, kitchen equip, manipulatives, dress up clothes, art supplies, tables, chairs, office furniture for directors, computers etc.) and helping them to work with Community Care Licensing.” 4Cs is aware that there will also be long term needs as families relocate and our community will need to sustain our child care supply. 4Cs is in communication with First 5, the Community Foundation, the Santa Rosa Jr. College Child Development Department, the California Department of Education and the Child Care Planning Council of Sonoma County working to carefully approach what the long term needs will be for child care in Sonoma County. In addition to the loss of child care facilities, this disaster has caused temporary closures of many Elementary Schools and numerous early care and education facilities across the county forcing parents to find alternate emergency child care to allow them to go back to work. 4Cs opened a “pop up” child care center to provide emergency care for County of Sonoma and St. Joseph’s employees for the last two weeks. “The pop up child care was an important and appreciated service. Santa Rosa Memorial Hospital was pleased to partner with the 4Cs to help stabilize resources for caregivers impacted by the disaster, including those impacted by the extended school closures.”- Emily Linebaugh, Area Director- Human Resources, St. Josephs Health. In addition to 4Cs there were many emergency child care opportunities that arose in response to parental need, for example Petaluma Health Care Center and North Bay Children’s Center partnered to ensure health care workers could go to work, as well as temporary onsite child care established at companies such as Redwood Credit Union and Kaiser, and churches like Spring Hills Community Church opened their doors to serve children and their families. This community disaster highlighted the importance of child care in our county’s infrastructure and workforce support. “My role as an Emergency Service Worker was to call in employees to staff the County’s Emergency Operations Center. Many employees couldn’t report for work due to losing their homes; however, many others couldn’t report due to lack of child care. 4Cs was able to step in and provide ‘pop-up child care’ onsite for two weeks, which allowed many of our staff to come to work and serve the community, including me. I used this service to help with care for my 4-year old daughter. We are grateful for 4Cs for providing this service to us and have a new appreciation for the critical role that child care plays in our employee’s ability to work.” -Casi Jewett, Sonoma County Department of Health Services Emergency Worker. 4Cs Child Care Resource and Referral services help parents to find/connect to child care in Sonoma County every day, but now more than ever as we move forward to rebuild child care in our community, access to this free service is critical. Additionally, it is important for families who have lost their homes, jobs or have been displaced to know they may now be eligible for subsidized child care. There are subsidized slots still available across the county in state and federally funded programs, particularly for preschool age children (3-5 years old). 4Cs can connect families to these opportunities. If you are a person who has considered caring for children in your home: Your services are needed in Sonoma County – 4Cs Child Care Resource & Referral can assist you in obtaining your child care license and get your business started. 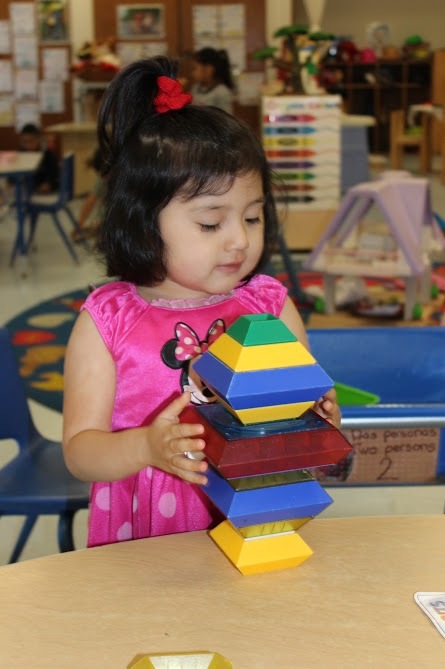 For more information about child care referrals, to be considered for enrollment in a state funded preschool, or to inquire on how to start your own child care business in your home please contact 4Cs Child Care Resource & Referral at 707-544-3077.